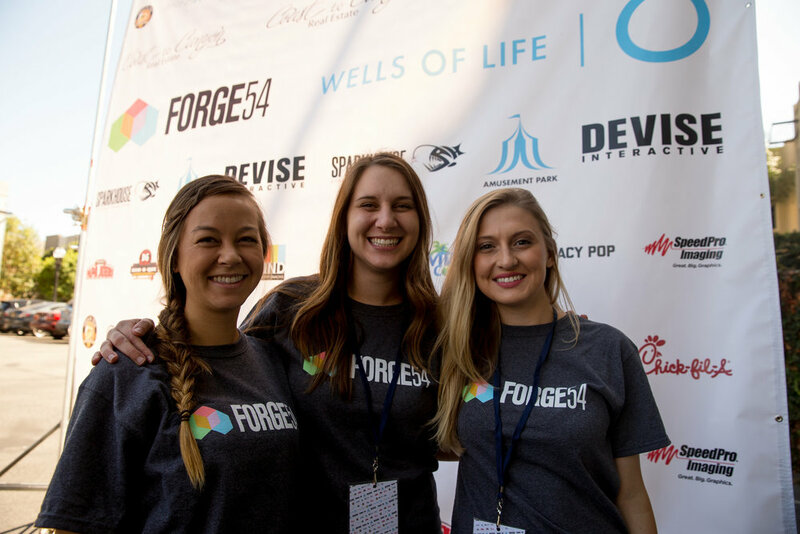 Forge54 is an annual skilled giving weekend where we create an entire marketing campaign for one lucky nonprofit. And by “we,” we mean the 100+ creative and strategic-minded professionals who are selected by our board members, based on what we need to do for our client. We form teams by discipline (strategy, design, copywriting, PR, social, video, mobile app and website development, events). Then we all come together for 54 hours, starting at noon on Friday, to produce the work. On Sunday evening, we present everything we’ve created to our grateful (and usually teary-eyed) clients. Nonprofits typically have very little to spend on marketing. We know this. So we kickstart their marketing efforts in a way they never could with their budget. It’s kind of like winning the lottery for them. Last year, we delivered over half a million dollars worth of marketing services to Illumination Foundation. This year, we can’t wait to help Dreams for Schools. We can't wait to support them in their efforts to inspire, create and educate students to become the critical thinkers, creative leaders and technologists of tomorrow. Welcome to the Forge family! We're going to do a crazy amount of work that weekend, just like always. And we can't do it alone. So please apply today to be a volunteer. We need people with skills in every discipline. Or sponsor the weekend with a monetary or in-kind donation. Will you please step up to this challenge with us? 2018's Forge54 weekend is November 16-18, starting at noon on Friday. If you’re volunteering, make sure you’re available the whole time, all the way through Sunday night, when we present to our clients. Yep, it’s your entire weekend. WIC Space in Irvine is where we’ll be making the magic happen. Forge54 is non-stop, with very little sleep for volunteers. It takes a lot out of all of us. Consider taking Monday, November 19th off work, too. We really appreciate that you want to help us give back to the community. Follow us for the latest on our ForgeConnect events and other Forge54 happenings, including what’s going on during our big skilled giving weekend.